Alliance Coin & Banknote is a family-owned business founded by Sean Isaacs in January of 2000 (federally incorporated in 2002), and is based within Canada's Capital region in historic downtown Almonte, Ontario. An avid coin collector since childhood, Sean entered the coin business in 1988 and rose to the position of Managing Partner at one of Canada's largest coin dealing firms before striking out on his own. Read more about Alliance's history and owner Sean Isaacs. Alliance Coin & Banknote caters to a diverse internet and mail-order cliental throughout North America and world, and is now headquartered in the award-winning ground floor gallery of our own heritage building in downtown Almonte. 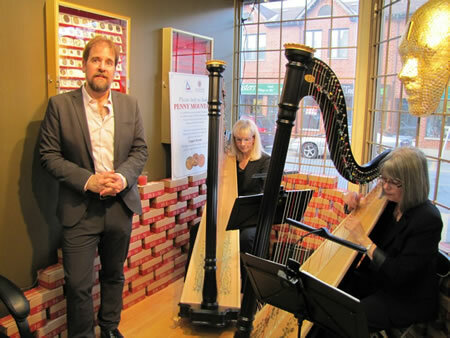 Our spacious, superbly-renovated store now offers Eastern Ontario's most diverse inventory of worldwide coinage, and is the destination of choice for both local and visiting collectors to the National Capital Region. Read more about Alliance's services.